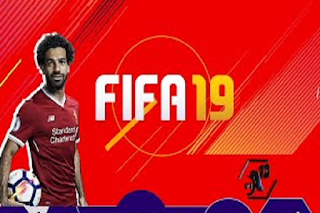 Download FTS 19 Mod FIFA 13.0 Best Graphics New Update 2019 for Android - Download links are available for this latest Mod game. Again, I will share the game with the latest First Touch Soccer mod update on your Android device. Not much difference is updated in this latest version, only in the main menu display and a few other small changes. 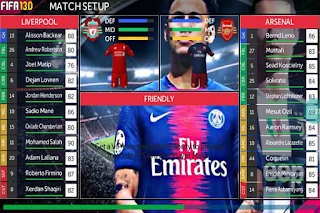 Please download for those who like the latest version of the FTS 19 Mod FIFA 13.0, and who want to try playing, the link is available on the gapmod.com site with the latest updates. Download immediately and install then play a new game titled FTS 19 Mod FIFA 13.0. For file size, Apk, Data, Obb this game no more than 325 MB, with many new players that have been updated so you can try to use the player that has been transferred in this 2018-2019 season. Here are some screenshots that you can see, you can try the latest updates for the players. I can't give you a lot of SS, try playing right away to find out how cool it is to play this game FTS 19 Mod FIFA 13.0. On the main menu screen and buttons in the FTS 19 Mod FIFA 13.0 game, of course it has been made more comfortable when you play. There may be some players who are still not satisfied with this mod version, can make their own modifications as desired. For how you can do it, please you can search on Google, Facebook or Youtube.